The latest news about The House at the end of the street. Watch the trailer! 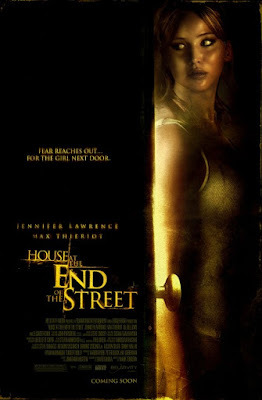 House At The End Of The Street - Elissa (Jennifer Lawrence) opens a door. 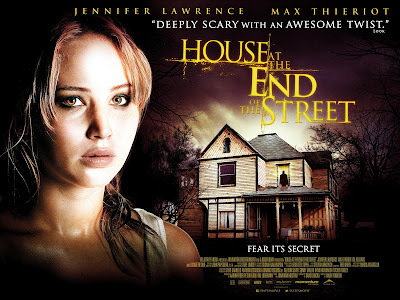 House at The End of The Street - Elissa (Jennifer Lawrence) is spooked. 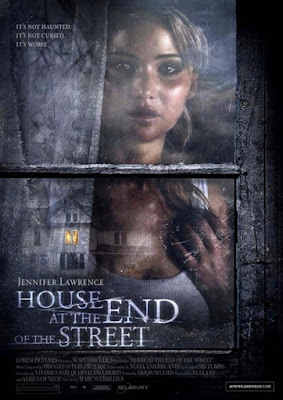 Do you prefer Jennifer Lawrence as a scared young woman like in the movie House at the end of the street or as a fearless and determined young woman like in The Hunger Games? This new trailer reveals more details of the plot than the first one. And actually am now even more interested in seeing the film! Will you go watch the film when it will come out in theaters on September 21, 2012? you have to go back to where it all began. "Seeking a fresh start, newly divorced Sarah (Oscar®-nominee Elisabeth Shue; Leaving Las Vegas, Piranha 3D) and her daughter Elissa (Oscar®-nominee Jennifer Lawrence; X-Men: First Class, Winter's Bone) find the house of their dreams in a small, upscale, rural town. But when startling and unexplainable events begin to happen, Sarah and Elissa learn the town is in the shadows of a chilling secret. Years earlier, in the house next door, a daughter killed her parents in their beds, and disappeared - leaving only a brother, Ryan (Max Thieriot, My Soul to Take), as the sole survivor. Against Sarah's wishes, Elissa begins a relationship with the reclusive Ryan - and the closer they get, the deeper they're all pulled into a mystery more dangerous than they ever imagined." 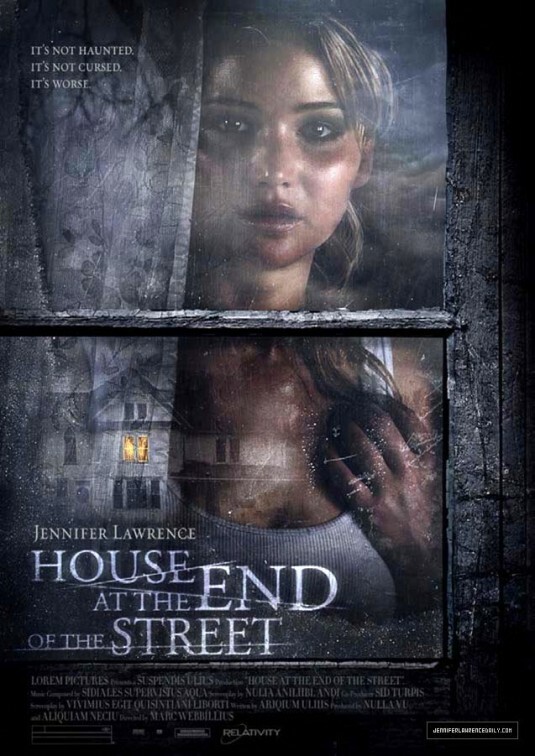 The creepy trailer of House at the end of the street is well cut: am definitely spooked! I'll go watch the film for sure! What about you? Share your thoughts below. Jennifer Lawrence is a real cutie. I wish to be her white knight to save her from that nightmare! It’s not haunted, it’s not cursed: it’s worst! The release date of House at the End of the Street is set for September 21, 2012.